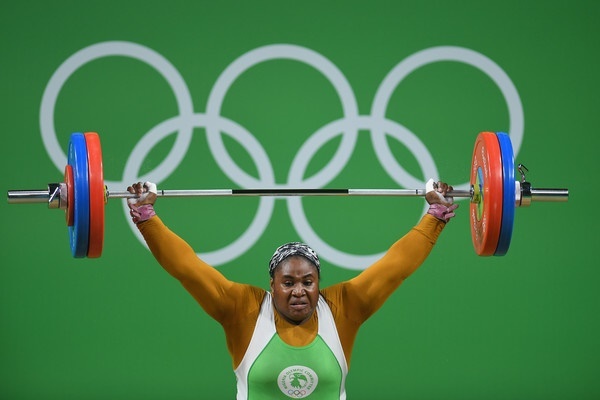 Nine years after competing at the Beijing Olympics, Nigeria weightlifter, Mariam Usman is set to be presented with the bronze medal in the women’s weightlifting +75kg category. This development is coming after the International Olympic Committee disqualified Koroboka Olha of Russia who originally won the medal. Olha was stripped by the IOC of her medal and result following a positive anti-doping test of her 2008 sample. The Nigeria Olympic Committee is now set to present Usman with the Olympic bronze medal. In a statement, the Secretary General of the Nigeria Olympic Committee (NOC), Tunde Popoola said the medal will be awarded to Mariam Usman as the qualified recipient and runner up in the event. The NOC said the presentation is scheduled to hold on Thursday in Abuja. The statement read, “In light of this cheering development, the NOC intends to formerly present the medal to you on the occasion of the executive board meeting scheduled to take place on Thursday, 7th September 2017 at the media Center of the National Stadium, Abuja slated for 11am”. The NOC said they are taking responsibility for the cost of her return flight, accommodation and feeding in the country’s capital. An elated Mariam Usman said she was happy that her hard work at the Olympics is paying off several years after.